The Activelife One Piece Convex drainable pouch is a lightweight, flexible one piece system. ActiveLife combines the skin barrier and the pouch into one simple, easy-to-manage system. 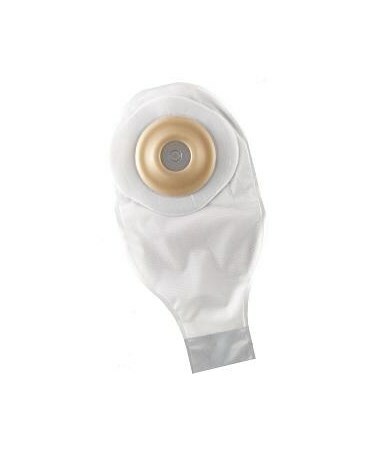 The built in convex barrier is good for people with a recessed, retracted, flushed or flat stoma. The skin barrier is pre-cut to fit the stoma. The Durahesive skin barrier helps protect the skin from semi liquid to liquid stool. The pouch allows for draining. The pouch is designed with a durable comfort panel that makes it odor proof and quiet to maintain discretion. The pouch is available with a tail clip to secure tail closure. Purchase the Activelife right here online, simply select a size from the drop down above and press add to cart! A lightweight, flexible, one-piece system. 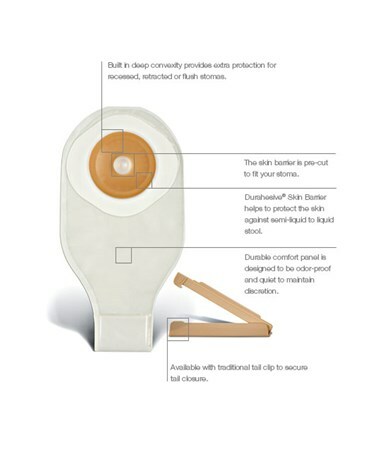 Built in convexity provides extra protection for recessed retracted or flush stomas. 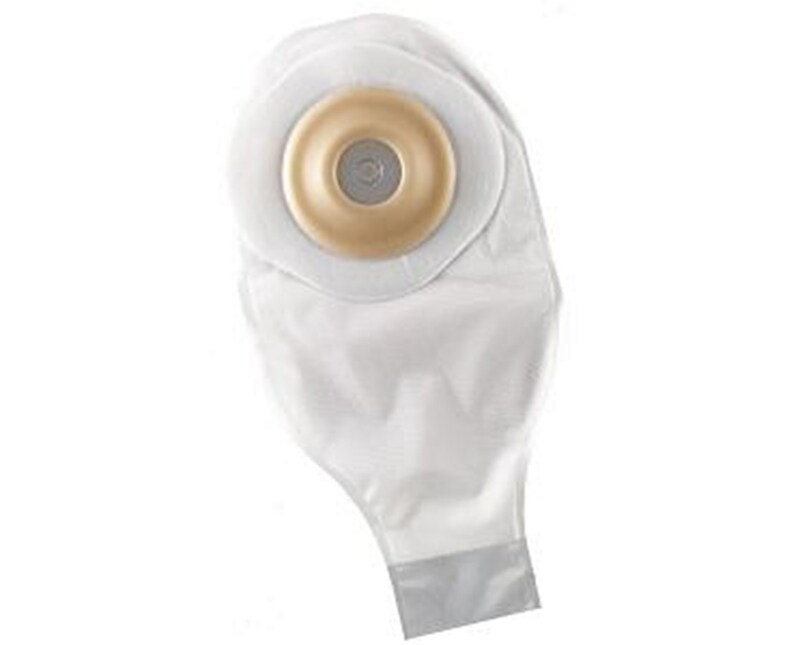 The skin barrier is pre-cut to fit the stoma. Durahesive skin barrier helps to protect the skin against semi liquid to liquid stool. Durable comfort panel is designed to be odor proof and quiet to maintain discretion. Available with tail clip to secure tail closure. Opening Size 3/4", 7/8", 1",1 1/8", 1 3/8", 1 1/4"